I won't lie, I first heard about Sugar Factory from watching an episode of Kendra On Top. It's an amusing reality show, and I got excited when Kendra and her family walked in the colorful restaurant and ordered a smoking (alcohol free) drink, plus a fancy milkshake. I knew I had to go. I immediately looked up where there was a Sugar Factory. I know we would be on the east coast for our vacation, so I checked to see if there would be one along our drive. There WAS, at the Arlington Mall. "Tom!" I shrieked. "Tom!" I rushed over, holding my phone out. "There's one! There's one!" He scowled. "There's one what?" "A Sugar Factory! We have to go!" "What's that?" Tom didn't even look thrilled. It takes a lot to excite him. "It's a place that serves those fancy milkshakes and drinks. That SMOKE!" "Fancy milkshakes! Smoking fruity drinks! Can we GO?" I fluttered my eyelashes at him. Tom wrinkled his nose. "None of those things sound appealing to me at all." He's not into sweets like I am. "Is that all it has? I don't want a smoking drink." He doesn't want a smoking drink? Huh? "They have normal boring things for boring people too. Burgers. Fries. Regular drinks." Tom shrugged. "Okay. I guess we can check it out." We decided to stop there for lunch on our way to Williamsburg. We got there right when it opened at 11 so we didn't have to wait at all. We were shown a table and a thick menu. "Isn't this place amazing?" I asked, looking around. On the screen were videos of celebrities who had been to the Sugar Factory. Apparently every member of the Kardashian family has been and you can get these sparkling lollipops for $25. "For a cheap looking LOLLIPOP?" Tom boomed, and the waiter looked over at us, eyebrow raised. "Tom," I hissed. "It's okay. That's not what we're here for." I mean, yeah, the sparkling lollipops were cool, but no. I was here for the milkshakes. And the smoking fruity drink. We ordered the one called Lollipop Passion. I was more jazzed about it than anyone at the table. Even my kids. They were just like, "Oh okay, there's smoke," and I was bouncing in my seat like, "There's SMOKE coming off my BEVERAGE!" Yes, it's delicious, but be warned: if you inhale too much when you're drinking, you'll get the smoke up your nose and will cough dramatically. I got a boring sandwich, because I knew I couldn't just have the smoking fruity drink and milkshake as a meal. The sandwich was tasty, but you know, I was ready for the main event. I ordered a milkshake and asked Tom which one he'd be getting. "I'm not," he replied calmly. I almost fell out of my chair. "You're NOT?" "I'm getting an ice cream cookie sandwich," Tom explained. "I'm not into milkshakes." WHO ISN'T INTO MILKSHAKES? But then again, this is the man who doesn't like pot roast. Who doesn't like pot roast? When my milkshake came, I practically drooled all over myself. It is NOT a place to go to on a first date if you don't know how to behave like a lady. Yes, it was spectacular, and you could even pick off the chocolate on the glass. Which I did. "I think that was there for decoration," Tom said as I tapped my fork against it. "Nope," I replied as chocolate clattered onto my plate. "Who would leave this?" "You're like a wild animal," Natalie observed, rolling her eyes. I offered some to my son, but he declined, because he doesn't like milkshakes either. But he has autism and doesn't really like super cold things anyway. He did take some of my cup chocolate though. Yes, there's candy you can buy at the store too, but it's pricey, so we didn't get any. Do I think it's worth it to go? Yes, but probably only for a smoking fruity drink and a milkshake. (Or any other dessert. They have tons!) The food was basic. I'd eat a proper meal elsewhere and then go. What the Sugar Factory is known for are the fun stuff. It is on the expensive side, but worth it if you go every few months or so. Plus, the one at the Arlington mall had a military discount, so that helped. But unfortunately, there's not one in Texas yet. Come on Sugar Factory! Build one at the Riverwalk! It would be a hit, I promise. Have you ever been to the Sugar Factory? How fun! That milkshake looks amazing. I want to go now, ha ha. I think I got a cavity reading this post (Hahah!). But seriously, I got excited when I saw the Lollipop Passion. It looks incredible! And I love how something as simple as a cookie can be presented in such a beautiful way. What an awesome place!!!! There is a place in NYC called Dylan's Candy Bar and it's the same concept. It's so amazing! Love this so much. I would be right there with you girls!! Truth be told, I would be as excited as you are. Most of my friends would have the same reaction Tom did. LOL. How excited and oh man the smoking fruit drinks so in! Hope there is not too much Sugar at the Sugar factory drinks :-) On a serious note, good to see the advent of non alcoholic drinks spaces. I've wanted to visit Sugar Factory for a couple of years now! It looks so fun (similar to Dylan's Candy Bar in Manhattan) and I'm loving the creative drinks! I was there YEARS ago, but didn't eat at the actual bar. I need to. I just got some candy from there. I would be in heaven there! If I am ever in the area, I will definitely visit. It sounds awesome. Holy moly I would be bouncing off the walls for days if I went to a place like the sugar factory. I have heard of chocolate factory's but not a sugar factory. Those milkshakes looks so very good too. We love our milkshakes but it would be so hard to decide what to have and how to choose. Fun place to visit. I would absolutely lose my mind in there. I wish we had that here. Would love to take my nieces there and myself! Oh yum! I have never even heard of The Sugar Factory. I'm going to have to Google where the closest one is. Those drinks look so good! I love the back and forth with you and Tom. And I don't know who doesn't like milk shakes. I would love to go to this place. A smoking drink sounds awesome! Well I am impressed even if Tom wasn't!!!! Haha I think I probably would as well if I went, doesn't it look amazing! The sugar factory looks like an awesome place to take the kids for a visit. It is pretty amazing all the neat recipes they can make with sugar. I love that you wrote you ordered a "boring sandwich". *smile* With desserts like those I agree a sandwich is no match. Is that cotton candy peeking out of the shake. OMG! I need that shake in my life. Funny how your family reacted. But I can see myself doing the same. I will be so happy for a milkshake! I have sweet tooth. First of all I would be in hog heaven in that store for sure!! The cookies with M&M's. Thats all I had to see. I just saw one here at the mall. I have to go! Everything looks so over the top good. I've never heard of the Sugar Factory before! I'm glad you enjoyed it even if the rest of your group wasn't particularly impressed! I have not been to the sugar factory yet, but if I ever visit one, there is a very high chance that I'll become diabetic. I have a very bad case of sweet tooth and can't resist any sweets. How have I never been to The Sugar Factory before? That milkshake looks really cool! And the drink does too. I would love to go to the Sugar Factory. I love the decor and the menu is right up my alley. I will have to look for a location near me. next time i'm in vegas, i'm just going to indulge! looks like a lot of fun! This place looks absolutely amazing! I don't know how you made it out of there without a cavity or not crying when it was time to go. LOL. BTW (just read your bio)...I just wanted to say a big Thank You to your husband and your family for serving our country. I grew up as a military brat (my family and I were actually stationed at some of the same bases as your family) and appreciate the sacrifice you and your family have made for us all. You had me at sugar. My wife and daughter would go crazy here! I've never heard of Sugar Factory before. I love milkshakes and that one sure is impressive looking! OMG that's the same shocked face I have right now. That place looks like sugar heaven! Sugar company? That would be my son's ideal place to visit since he has a sweet tooth. Those treats looks so sweet! That milkshake tho'. What an awesome time you had! I've never heard of the Sugar Factory, but I seriously need to visit this place at LEAST once. I have never heard of the Sugar Factory. Now I want to go! Those smoking drinks are AMAZING! Love that you include an ELF gif, one of my fave movies haha. It looks like your daughter was in heaven at the Sugar Factory! I haven't heard of the Sugar Factory until now. I guess because there is none close to the area where I live. (Now I am wondering why). I'd love to visit that place though. The milkshake glass with the chocolate and candy on one side of it is such a unique idea. My children would want to go t here everyday if we had a branch near us! 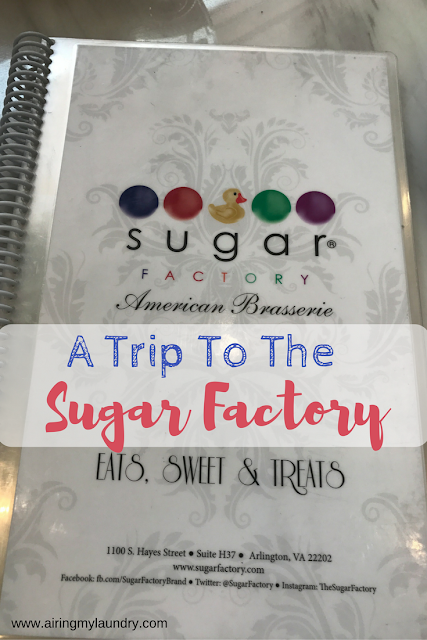 We visited The Sugar Factory in Miami last summer and we had such a great time! The food is to die for and the amount of candy was awesome. I think I'd be like your husband and be like "for a lollipop?!" LOL. I hate overpriced things, but that milkshake does look yummy. I am going to see if they have one of these nearby. I know that I have seen people take pictures of them and post them on my feeds but I didn't know whether they were local, and I know my daughter would love to go to one for sure. I have never heard of the Sugar Factory before but would love to go to one some day. The expensive lollipop I would for sure get along with the milkshake. 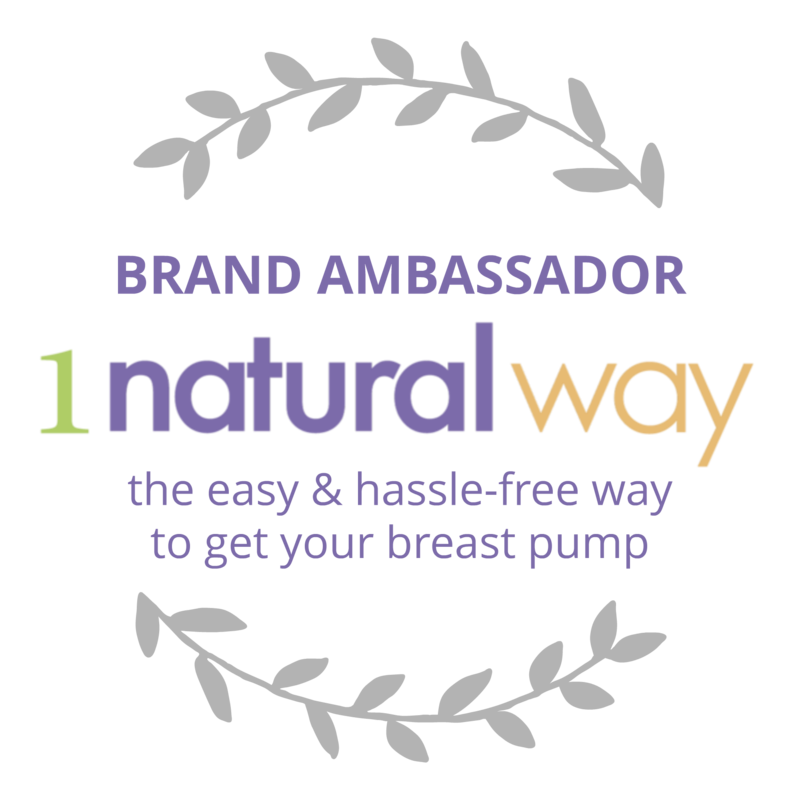 Thanks for sharing your awesome experience. What a delicious experience! :) I've always wanted to visit! I have never heard of this place before, but it looks amazing! My son would have a blast in there! I'll have to check it out sometime, thanks for sharing!! That is so my kind of place, like something managed by Willie Wonka, those smoking drinks!!! Never heard of it! I'd probably pre-game elsewhere by eating a salad. Then going! I'd order what Tom ordered. Sorry! I don't like milkshakes either. Oh my word! Give me all the things. These all sound absolutely incredible. That milkshake is perfect! Your son's reaction is so funny. Yeah sometimes I have the simikar expression when I dint find it appealing. But this Sugar Factory deserves many selfies. I have one of these like 45 minutes away from me, and still haven’t gone! I so need too! My son would literally shriek the same way and I don't think he would allow us to leave after having all that sugar. I wouldn't mind though. OMG! It looks so exciting! I would definitely love a trip there! Lollipop Passion look amazing and so colorful, I would love to share it with my whole family. What a great experience you have in the sugar factory. This would have to be at the top of the visit. Everyone would love it including my big kid hubby. Um HECK YEAH!! I would totally go there and my whole family would be in heaven!!! Now this is my kinda of place, me and my daughter do a have a little bit of a sweet tooth, only things is I know it would be hard for her to leave lol! I've never heard of the Sugar Factory until now and yes, I want to go! Who doesn't like milkshakes? Besides your husband, I mean. Looks yummy and all that smoke - yes, please! Oh my gosh I wish we had one of those places around me. This weekend my kiddo has three days off and I want to take them someplace special. This would be so cool. I wish they had one by me but i have never heard of it before. The desserts and shakes look amazing and I would love to try the smoky ones too. This looks like so much fun. I went for the first time this year for my birthday. I can't wait to visit again. Squee! That place looks magical! I need to find out where the closest one is to us and how soon we can go visit! Yikes, sugar overload!! My son would go crazy for all that. That milkshake looks amazing. I want to get one of those. And I laughed about your husband. Mine would have been the same way. Next time we will go together and giggle like little girls and order a jumbo milkshake with the chocolate coating. Deal? This would be so much fun to visit! We don't have one near me, but I would love to check one out. I love your enthusiasm and love how much you enjoyed it! I haven't ever heard of Sugar Factory before! Those drinks look like tons of fun! I bet my kids would be thrilled with smoke and all that sugar! This looks amazing! I know my kids would love to go here, this would be a highlight for them for sure! I want to check out the Sugar Factory so bad! I heard they are opening one up at the Mall of America and I plan on taking a trip to go there. I love over the top food! How fun! That milkshake looks amazing. I want to try this too. Oh my word what a great trip! I love the sugar factory so much! This is a dream place!! Everything looks so good and of course so sweet! My kids would love it. Oh my goodness I'd be in heaven. I love the milkshake with the chocolate dipped glass. LOL! This would totally be me too! My kids would be excited with me for sure. My husband? He would just appease me. Looks like fun, that Milkshake looks delicious. If for lollipops 25 dollars my hubby never take us there. May be if it is Texas I may give it try. we have a sugar factory here in NYC and woo hoo everything is so very delicious. That mug covered with chocolate and m&ms is calling my name. Omg this place looks amazing! I would so be like you and be jumping on my seat with excitement the moment they put the smoking drink in front of me. How cool is that!